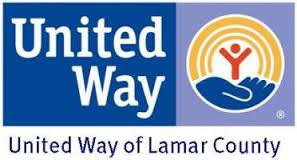 For the second year, the United Way of Lamar County will participate in East Texas Giving Day, which is Tuesday, April 30, 6:00 am until midnight. East Texas Giving Day is an 18-hour day of giving that provides critical funding for area nonprofits. The purpose of an area-wide Giving Day is to bring the region together for one day and as one community. Lamar County is one of 32 counties served by the East Texas Communities Foundation (ETCF) that organizes the event. Other Lamar County nonprofits participating include Habitat for Humanity, the New Hope Center, Northeast Texas Trail, the Children’s Advocacy Center, the Downtown Food Pantry, Salvation Army, City Square, Paris Junior College Memorial Foundation, and Paris Pregnancy Care Center. To make a donation, go to easttexasgivingday.org and select a nonprofit to make a minimum donation of $10. Pre-scheduled giving start on April 15.